Comenzamos un nuevo tema del examen de educación cívica: Historia norteamericana. En esta entrega estudiaremos la época colonial y la Independencia. Recuerde que el examen es oral y consta de diez de las cien preguntas que le vamos a presentar hasta diciembre. Para aprobar, ha de contestar bien un mínimo de seis, acompañando su respuesta del nombre del oficial de USCIS que lo entreviste. Si tiene 65 años o más y es residente legal permanente de EE.UU. desde hace 20 años o más, solo debe estudiar las preguntas marcadas con un asterisco (*). In the 1600s and 1700s, the American colonies were a chance for freedom and a new life for European colonists. Great American Indian tribes lived in America at the time the Pilgrims arrived. By 1700, many Africans were being brought to the American colonies as slaves. The British taxed the colonists without their consent, denied them self-government and forced them to let British soldiers sleep and eat in their homes. Thomas Jefferson was a very important political leader and thinker who wrote the Declaration of Independence in 1776. The purpose of the Declaration of Independence, adopted on July 4, 1776, was to announce the separation of the colonies from England. The 13 original states were all former British colonies. Today, the United States has 50 states. The delegates decided to create a new governing document with a stronger national government: the Constitution. The Constitution, written in 1787, created a new system of U.S. government. James Madison was the main writer. 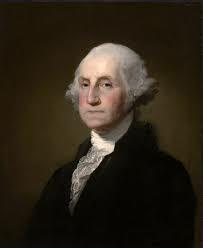 He became the fourth president of the United States. Benjamin Franklin was one of the most influential Founding Fathers. He was the oldest delegate to the Constitutional Convention. He was a printer, author, politician, diplomat, and inventor. His most famous publication was Poor Richard’s Almanac. He also organized America’s first library. The Federalist Papers [de féderalist peipers] "Los Federalistas"